2010 is set to be a monumental year for Daniel Radcliffe – after recently wrapping Harry Potter and the Deathly Hallows, the actor turned 21-years-old this week, and so had plenty of reasons to celebrate. 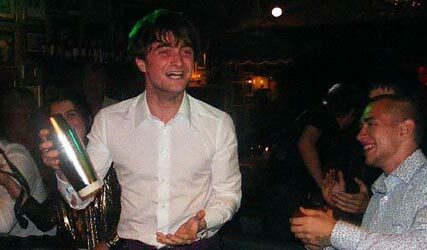 Radcliffe was spotted partying the night away until 4am at a St Petersburg club, necking vodka shots and joking with bar staff. Radcliffe was in Russia for a holiday with two friends, but while he was off enjoying himself, thousands of Harry Potter fans were left disappointed, as the trip meant he missed an appearance at Comic-Con 2010. HARRY POTTER AND THE DEATHLY HALLOWS: LATEST PICS!